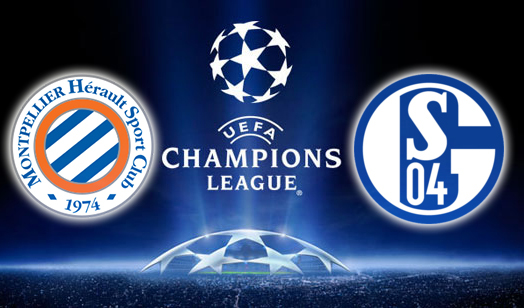 Montpellier and Schalke are facing each other in the Champions League tonight and Schalke will be hoping to win to ensure that they end the group stage ahead of Arsenal. Shalke, Huub Stevens’ side, are already guaranteed a last 16 place and the bookies have given them odds of 11/10 to win tonight. Unfortunately for Montpellier things aren’t looking too good for them with odds of 37/13. However, it is expected that Montpellier coach Rene Girard will name a few changes to the team. A huge number of players are struggling with injuries, Geoffrey Jourdren, Teddy Mezague, Joris Marveuax, Karim Ait-Fana and Garry Bocaly. However, Hilton will be back in the game after a recent layoff. Furthermore, Cyril Jeunechamp and Jamel Saihi will both be back from suspension however, with Daniel Congre available Jeunechamp may not be chosen. There is also a chance that Remy Cabella will be back. It remains to be seen whether Stevens will pick a strong Schalke side, he could use the same team that drew with Borussia Monchengladbach last weekend which featured star players like Julian Draxler, Klass-Jan Huntelaar and Lewis Holtby. Alternatively he may give some other players, such as Tranquillo Barnetta or Teemu Pukki a chance in the pitch.